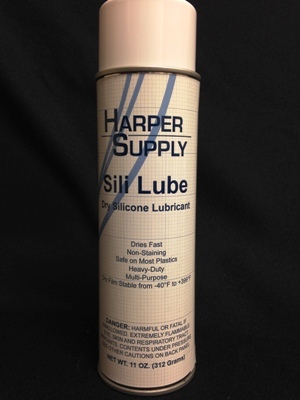 Sili Lube is a fast drying, non-staining, heavy duty, multi-purpose silicone lubricant. Sili Lube is used for preventing corrosion on metal and to reduce friction and wear and tear. Sili Lube is also excellent for quieting down moving parts and provides a water and weather-resistant barrier that protects surfaces.